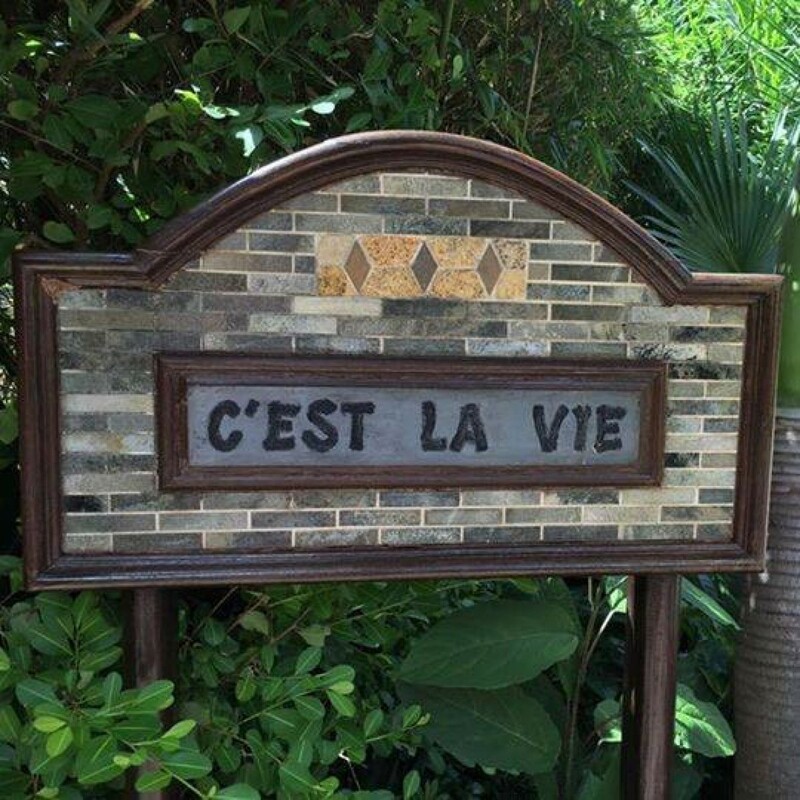 Villa C'est La Vie St Lucia. 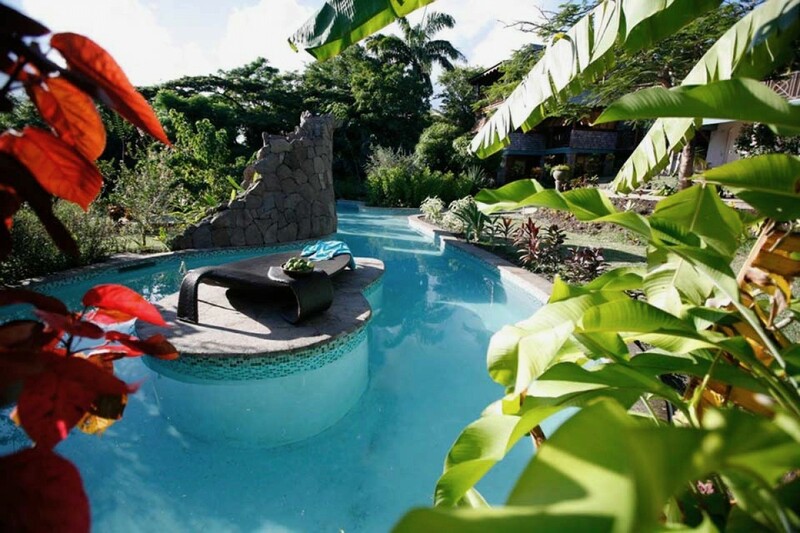 You may wish "this is life" when you book a stay at the stunning Villa C'est La Vie in St. Lucia. 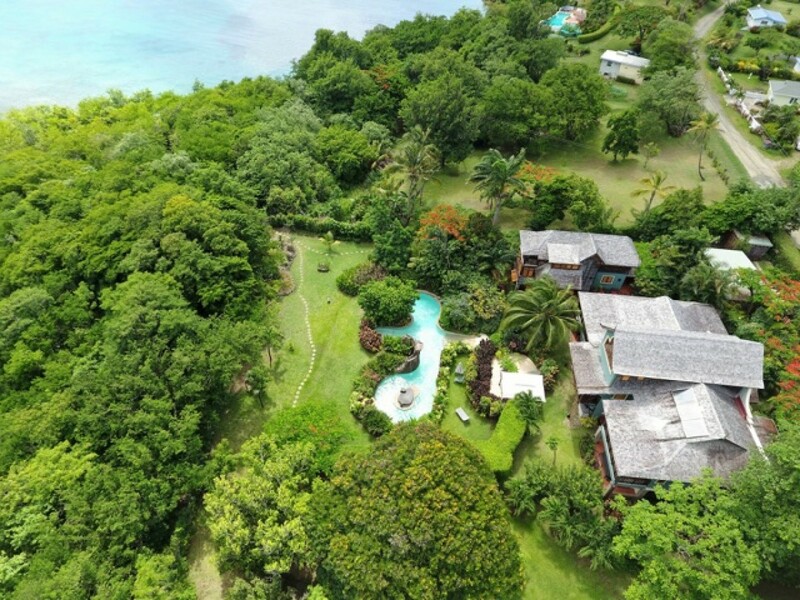 The amazingly stylish property is set along Trouya Pointe in the Gros Islet area of the island, and comes with the services of a full household staff, including a chef, housekeeper and butler. 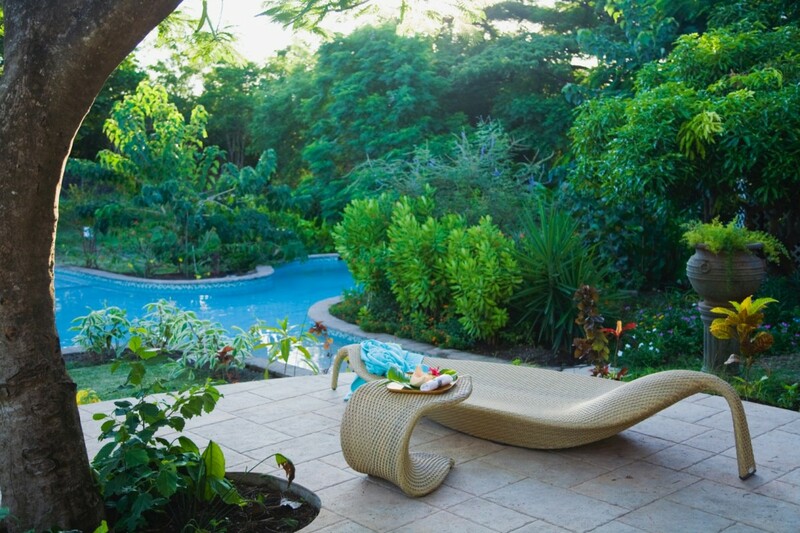 Estate-like in its design, it sits among lush and private grounds that offer you authentic tropical gardens to explore and savor. 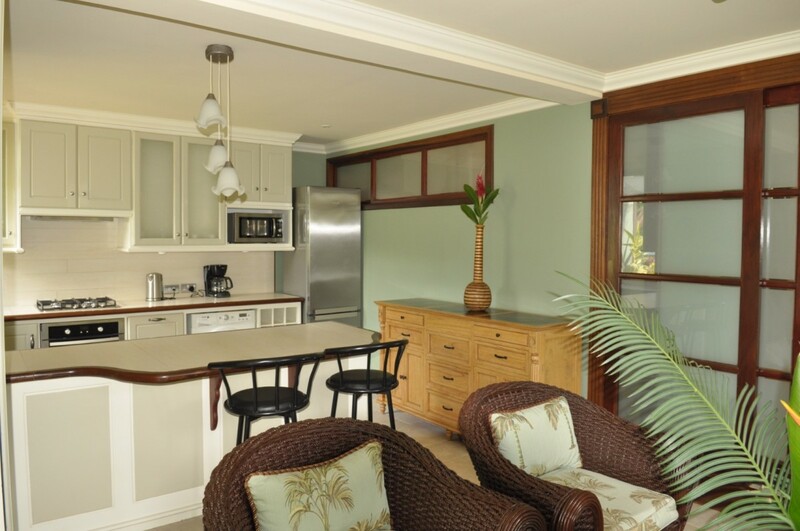 The style of the property is a perfect blend of Balinese and Caribbean styles, and you will marvel at the seamless manner in which indoor and outdoor spaces blend. 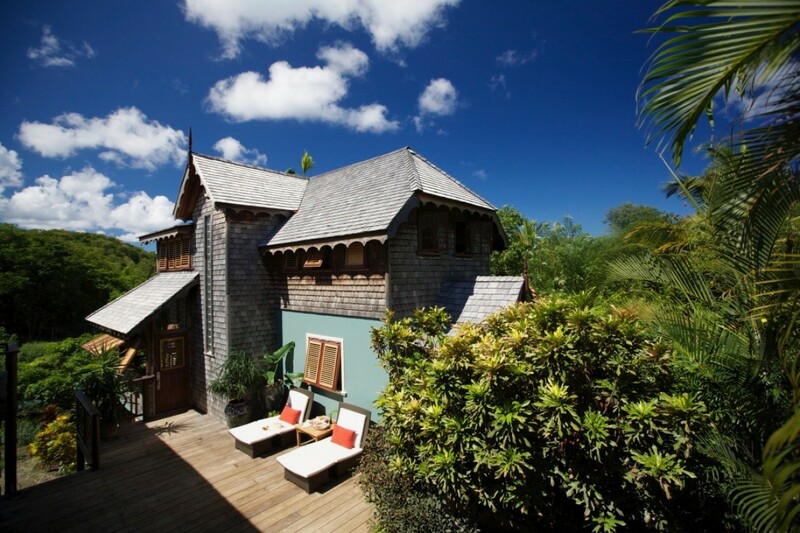 Featuring two structures, the main villa is painted a gorgeous island blue and features richly stained wood decking. 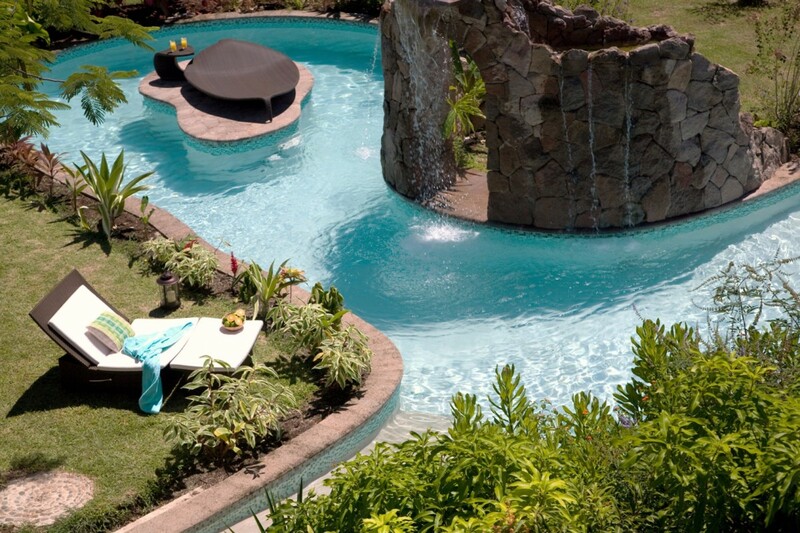 Everything gazes out over the scenery and the amazing free form pool. 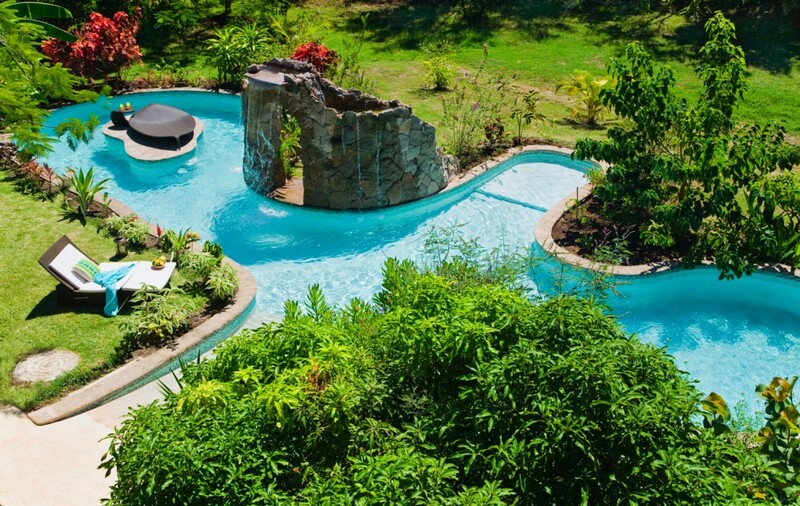 Surrounded in stone and landscaped gardens, it is a true destination to explore. 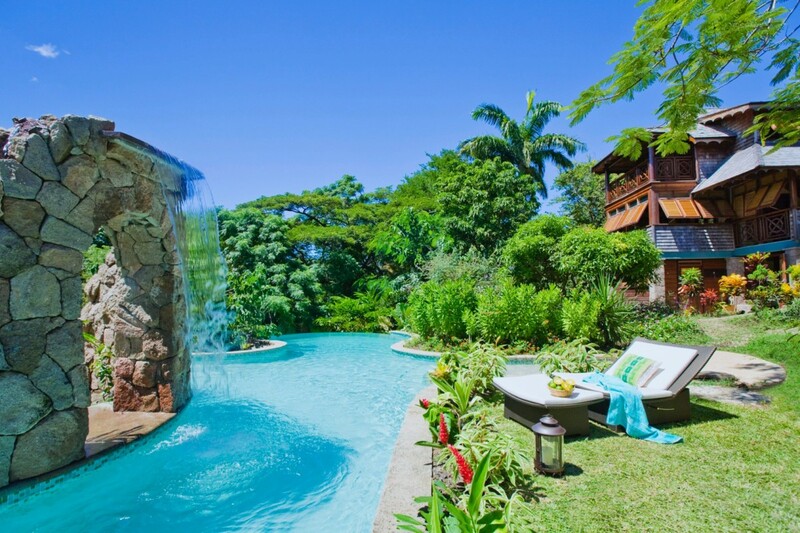 A waterfall, plush lawn covered sun deck, and several beguiling curves that lead to shady niches make it a wonderful spot to unplug and unwind. 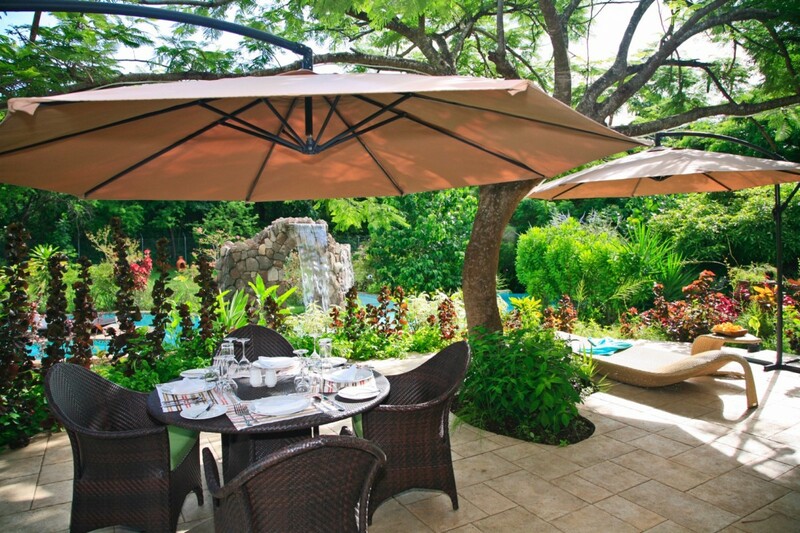 Beneath the canopy of trees are other terrace areas furnished for sunbathing, lounging and dining. 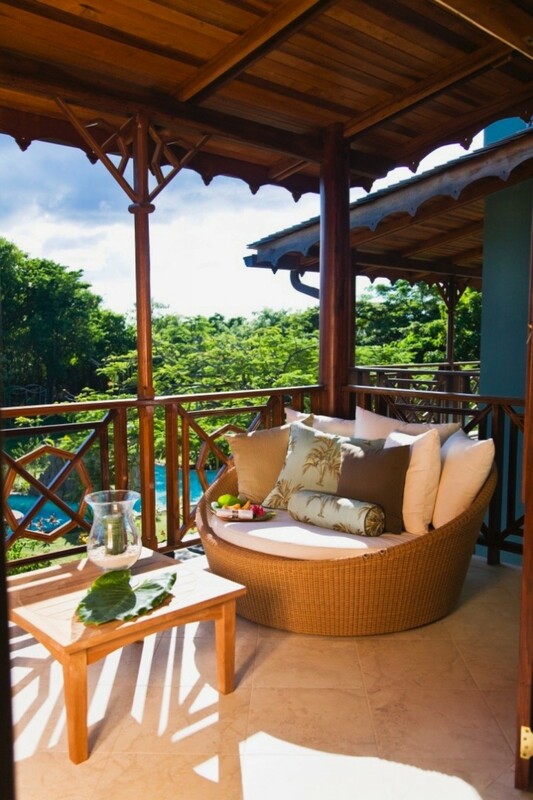 There is a lovely gazebo hidden on the premises and the villa buildings are also wrapped with terraces, porches and verandahs all furnished for premium relaxation and comfort. 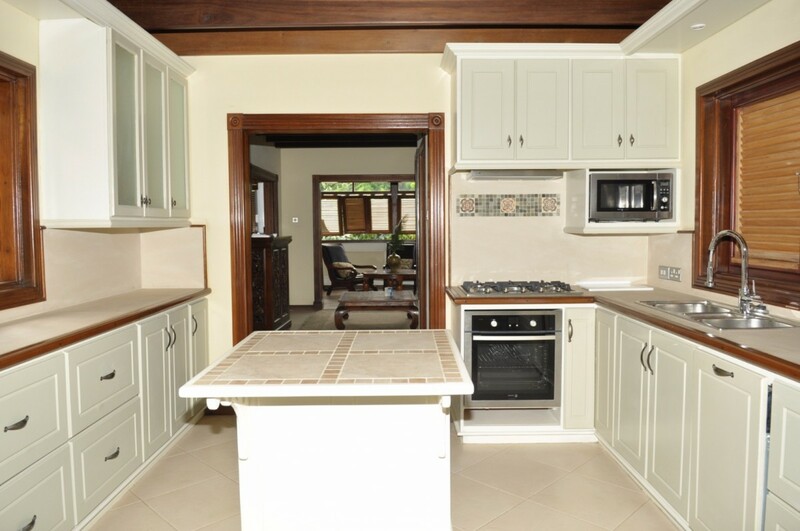 The main villa offers the shared living spaces that include a living room, formal dining room, TV suite and the kitchen. 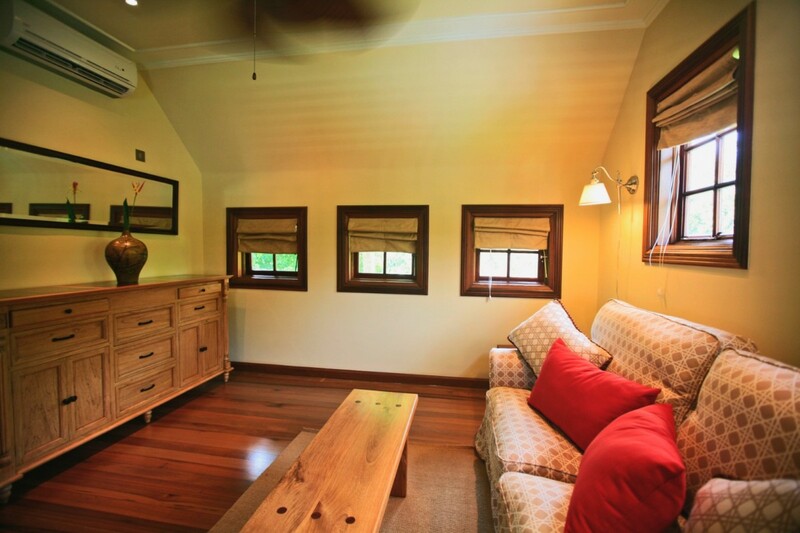 The five bedrooms have been named after some of the native trees, and each is a wonderful retreat of its own. 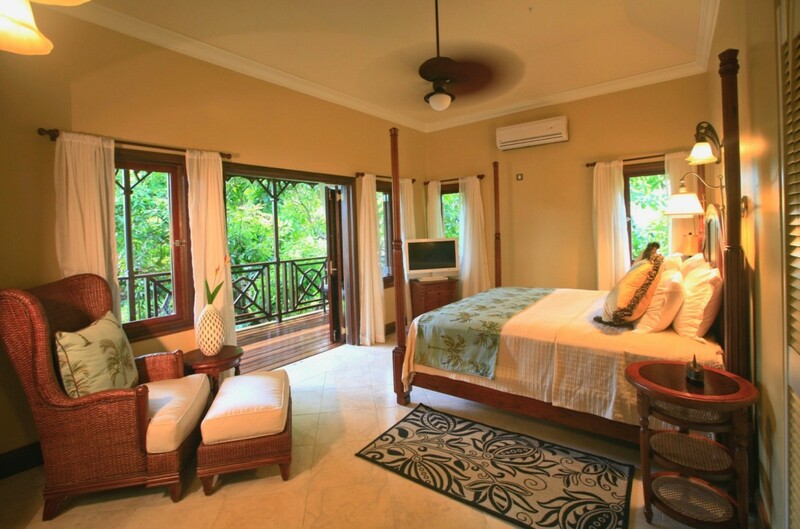 Three of the bedrooms are in the main villa, one in the cottage and a separate apartment houses the fifth. 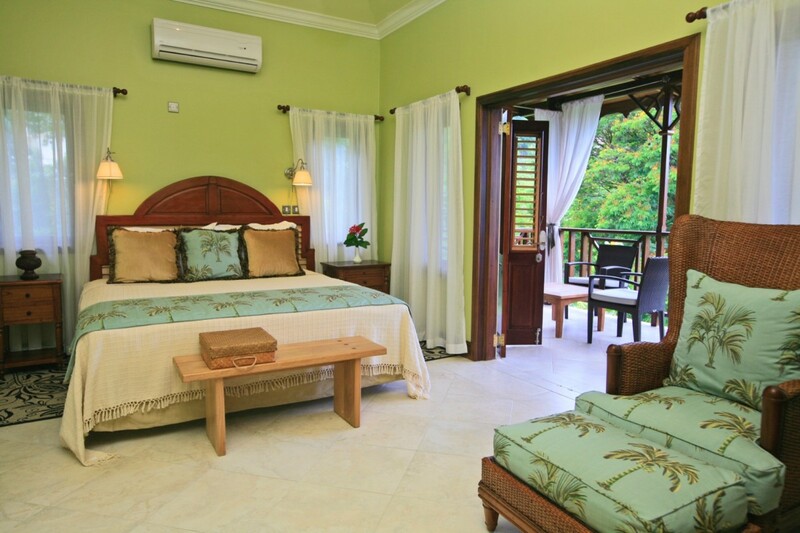 The main villa suites are king or dual twin suites. 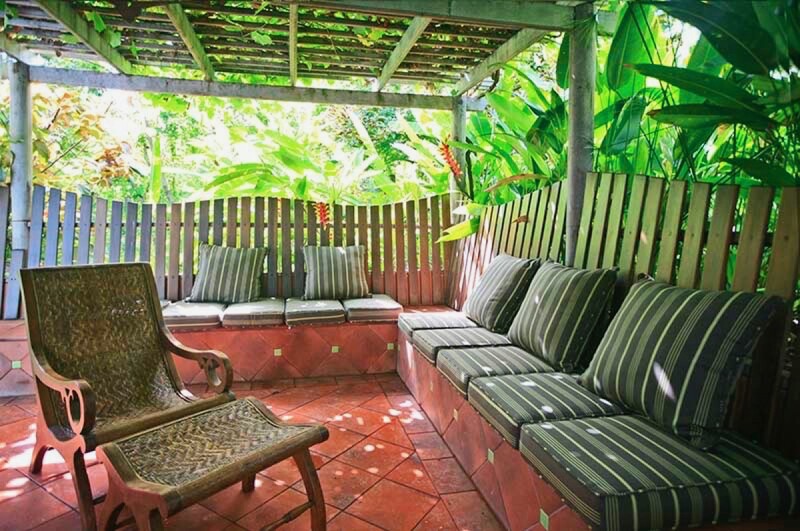 They have private verandahs and luxurious private baths. 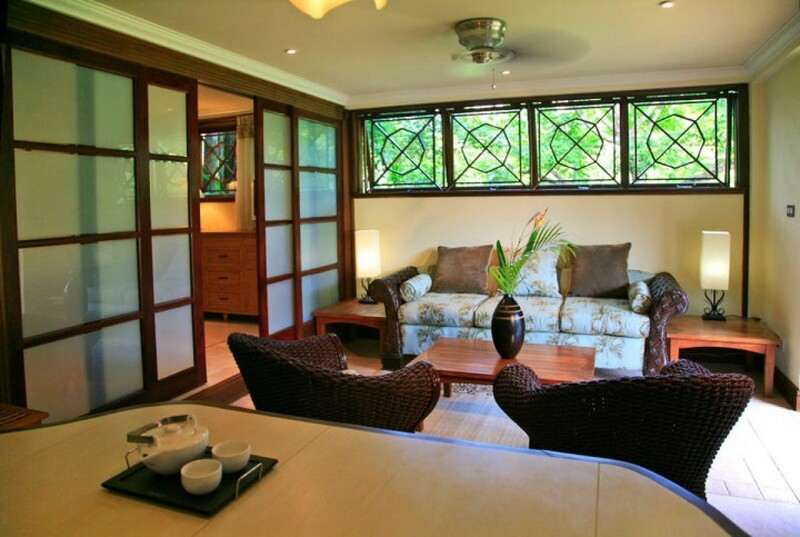 The cottage is a king suite with verandah and bath and the apartment is a self-contained space with king bed, terrace and bath. 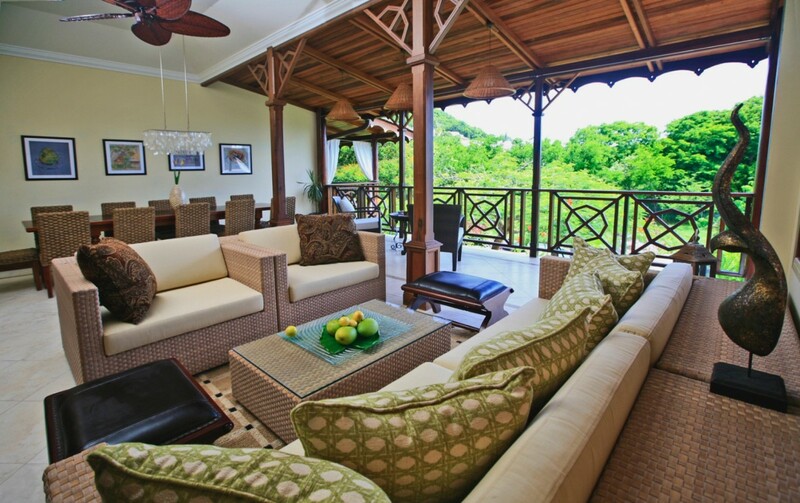 When traveling with discerning friends or family, the Villa C'est La Vie is a fantastic choice. 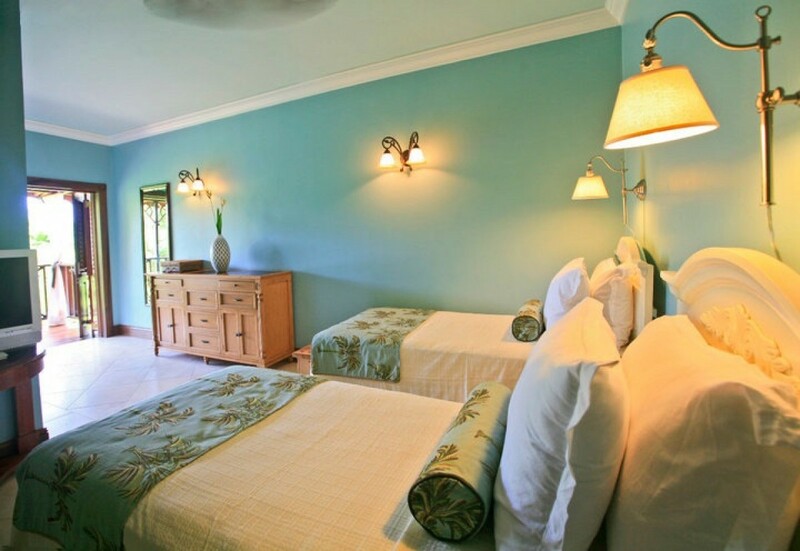 The rental rates include: Welcome upon arrival and villa orientation, daily housekeeping service, chef and butler services, pool technician and gardener regularly, villa manager on call and utilities (water, electricity, BBQ gas / charcoal, WiFi Internet coverage). All inclusive package available on request. 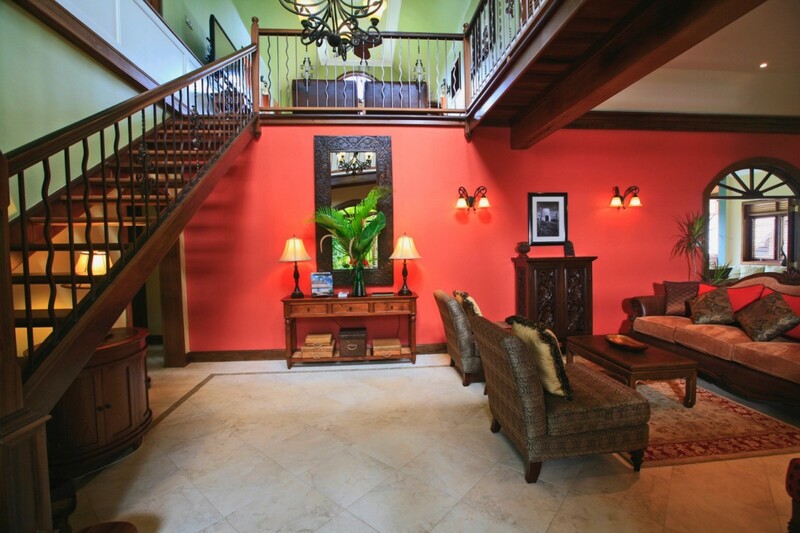 Airport transfers are included for guests spending seven (7) nights or more. 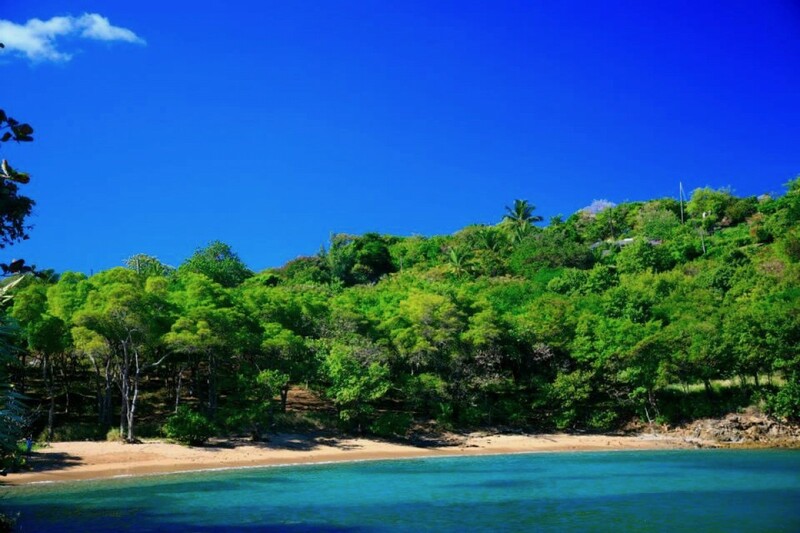 Beach information: There are two beaches within close proximity. 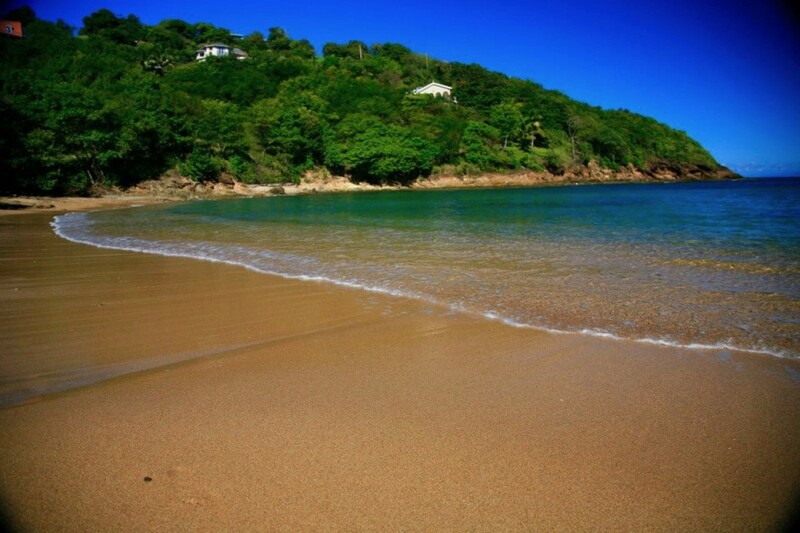 One is 5 minutes away and the other a private cove, located 100 yards from the garden gate. 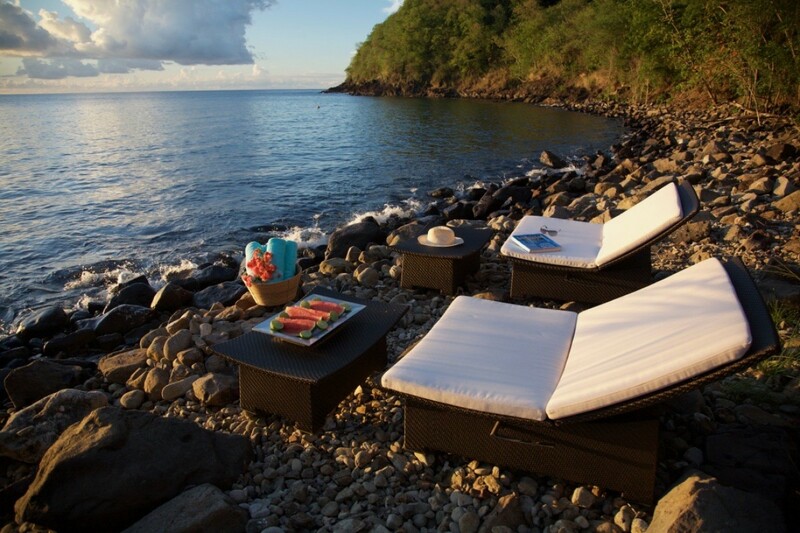 Guests can also access the beach at Windjammer, which is 10 minutes away. Bedroom 1 - Julie Mango: Bedroom with a four-poster king-size bed, A/C, ceiling fan, safe, satellite TV, DVD player, built in cupboard, private verandah and en-suite bathroom with shower, vanity, bidet and WC. 2 guests maximum. 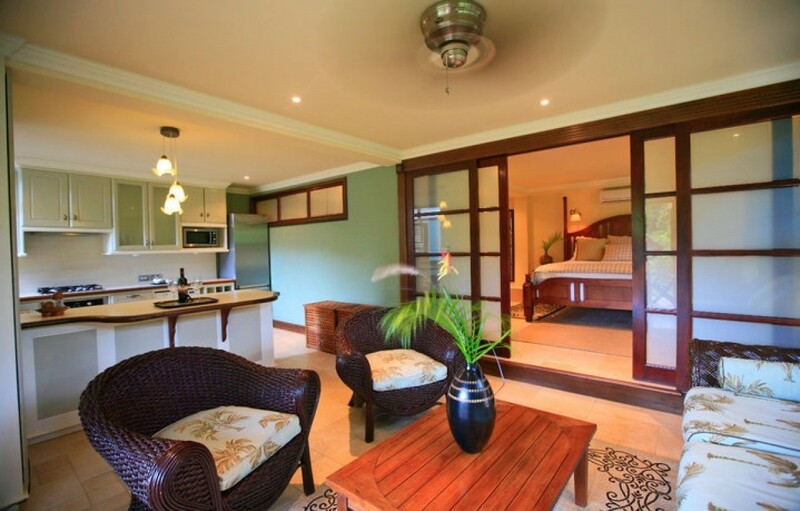 Bedroom 2 - Golden Apple: Bedroom with a king-size bed, A/C, fan, safe, satellite TV, DVD player, built in cupboard, large private verandah and en-suite bathroom with shower, vanity, bidet and WC. 2 guests maximum. 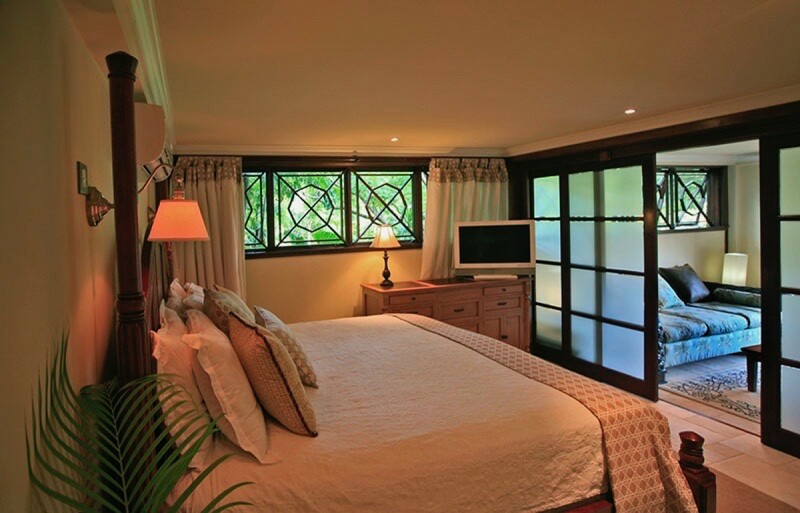 Bedroom 3 - Flamboyant Bedroom: Bedroom with two single beds, A/C, fan, safe, satellite TV, DVD player, private verandah and en-suite bathroom with shower, vanity, bidet and WC. 2 guests maximum. 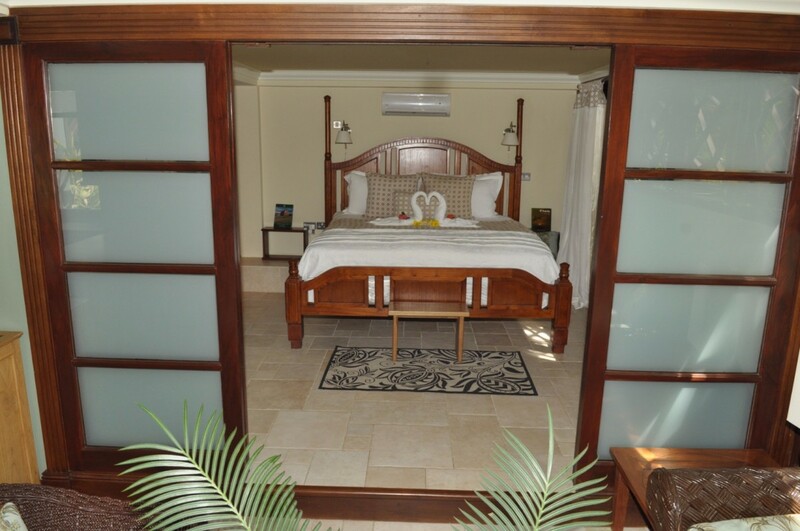 Bedroom 4 - Royal Palm Suite: Bedroom with a king-size bed, A/C, fan, safe, satellite TV, DVD player, private verandah and en-suite bathroom with shower, vanity and WC. 2 guests maximum. 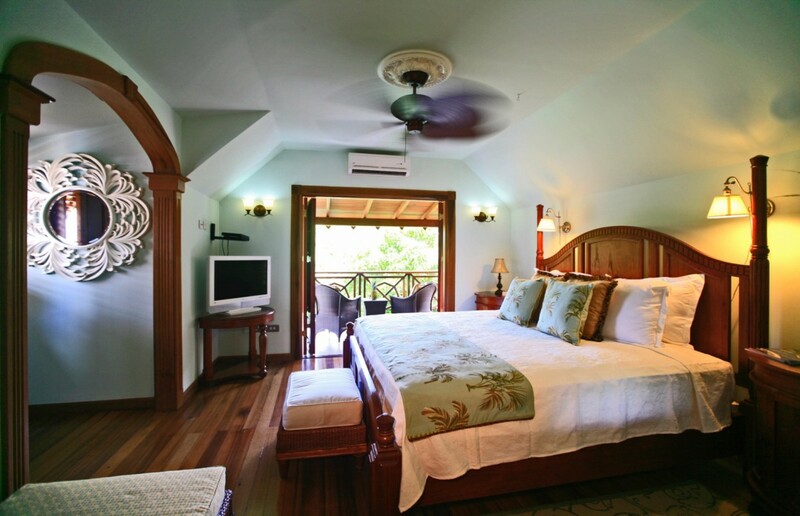 Bedroom 5 - Cherry Apartment: Bedroom with a four-poster king-size bed, A/C, safe, satellite TV, DVD player, living room, private terrace and en-suite bathroom with shower, vanity, bidet and WC. 2 guests maximum. 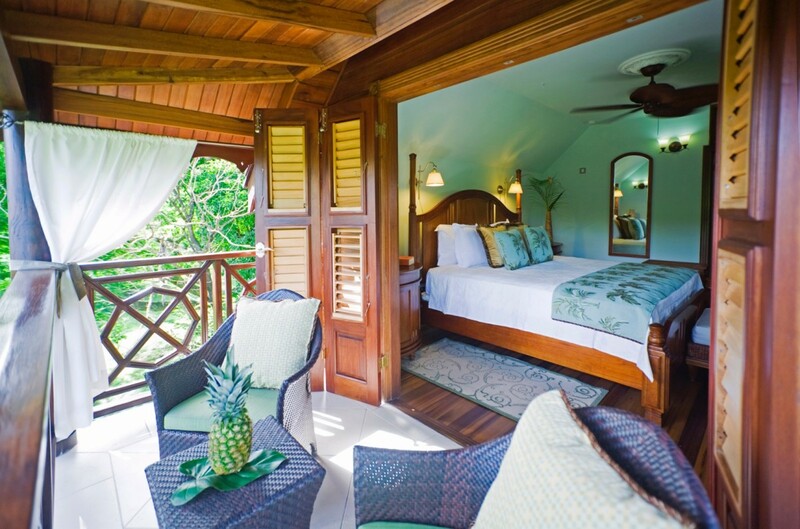 C'est La Vie - St Lucia is offering a 7th night free for travel between July 1, 2019 and November 30, 2019. 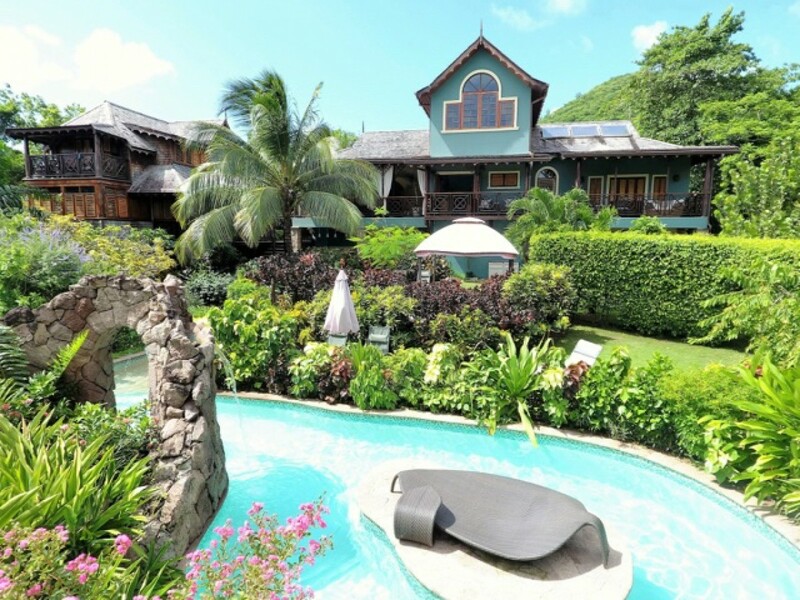 C'est La Vie - St Lucia is offering 25% off for travel between April 15, 2019 and September 15, 2019. 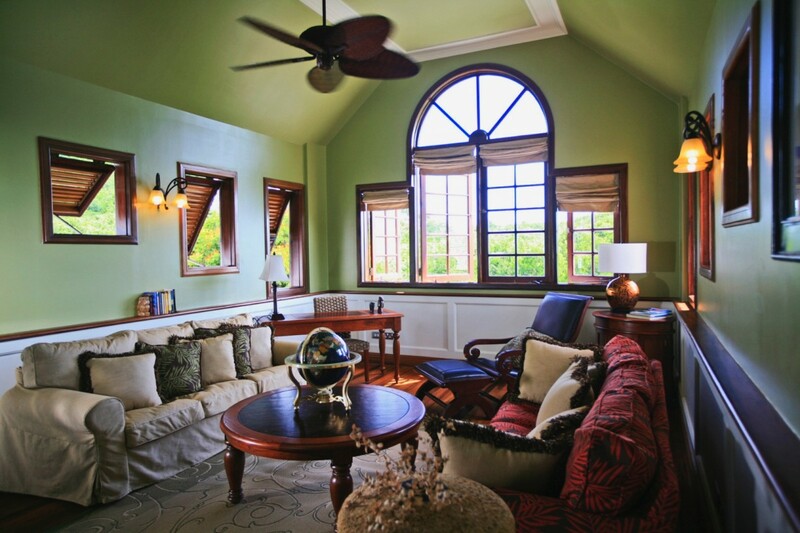 Book 3 nights or more in 5 bedrooms and receive Breakfast & Dinner throughout your stay. 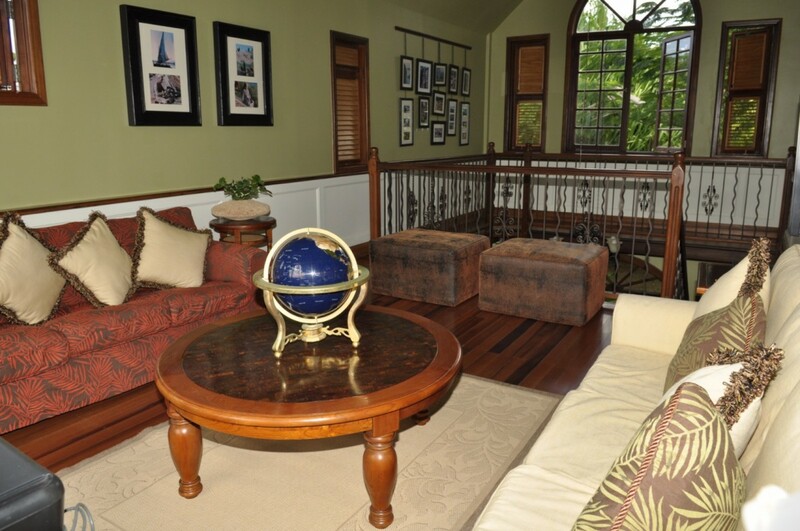 Beautiful house with very friendly and helpful staff. 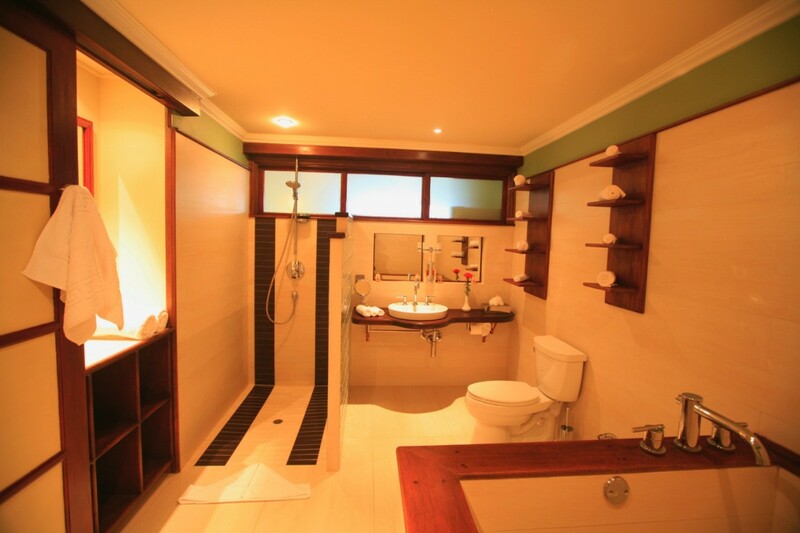 All the rooms were very nice and cleand every day. And every morning great breakfast... always different. 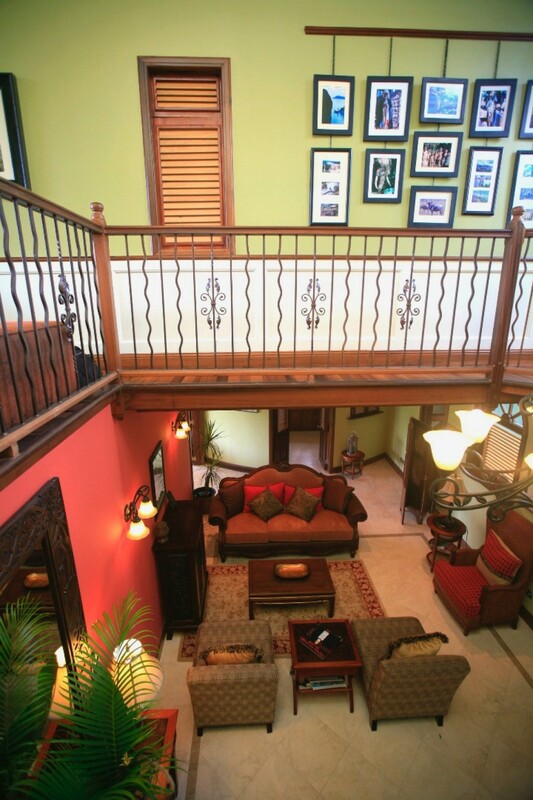 I can just recommed to stay in this beautiful house! We had a fantastic time. The accommodations were great. The service was second to none. The meals were terrific and great variaty. The chef produced some outstanding meals. 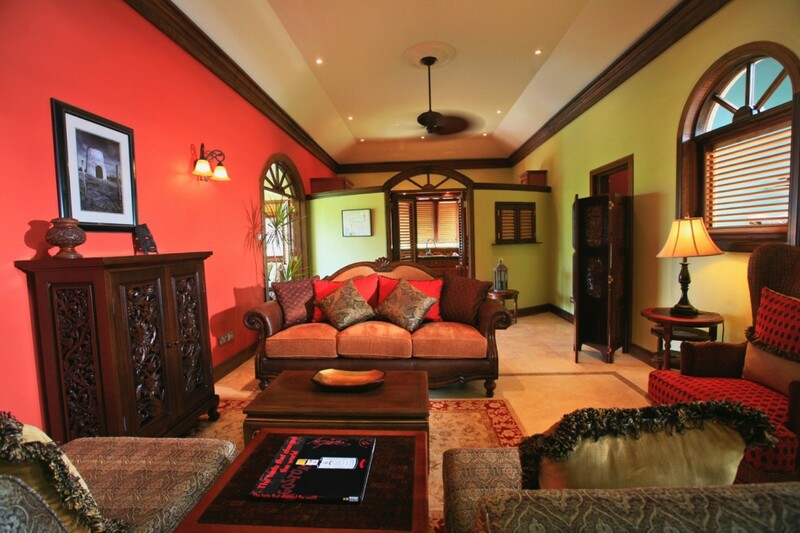 We would recommend this villa to anyone wanting 5 star accommodations , service and meals. 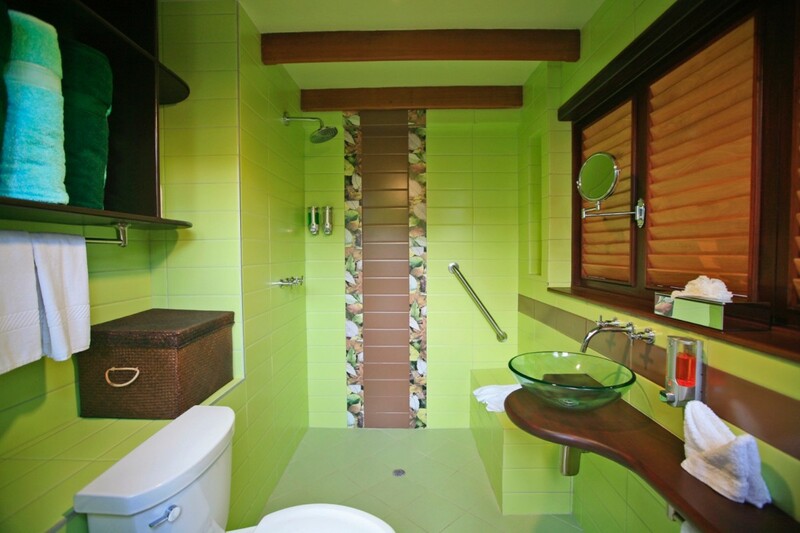 It is close to most activities and arrangements were made for us by the staff. 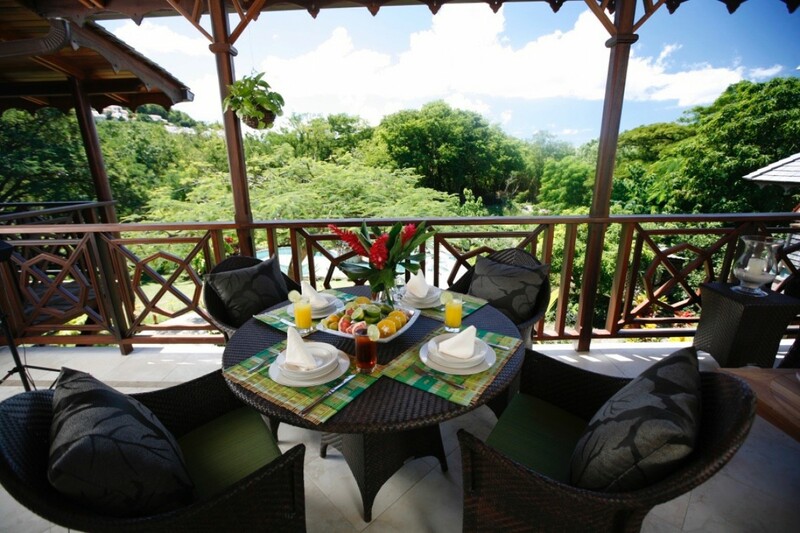 The property was as beautiful as advertised, the staff was wonderful and our 3 families had a fantastic experience. 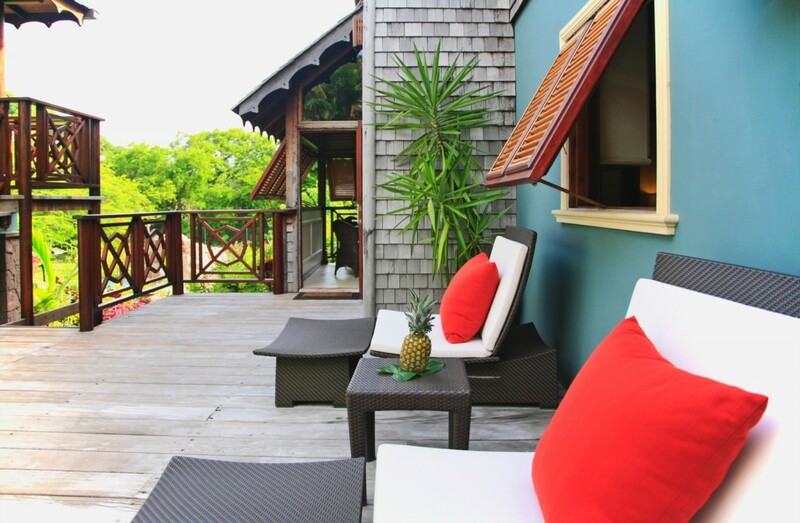 C'est La Vie is not only a stunning property, with comfortable and beautiful bedrooms, outstanding service and staff, and a lush garden, but the easy access to a secluded beach in a cove was a unique experience for all of us. 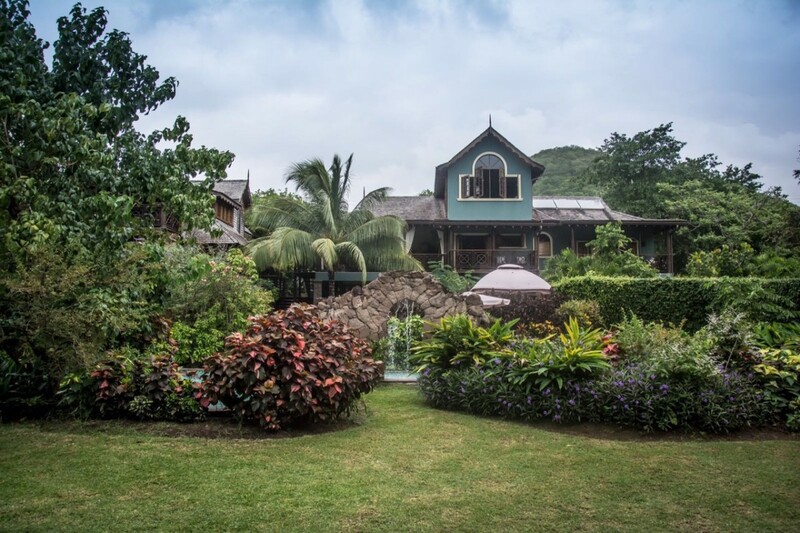 We had never rented a villa before and it was such an amazing opportunity to enjoy the property and the beach for ourselves and our family members. The service was outstanding as well as we had a butler, housekeeper, a concierge and a security guard overnight.